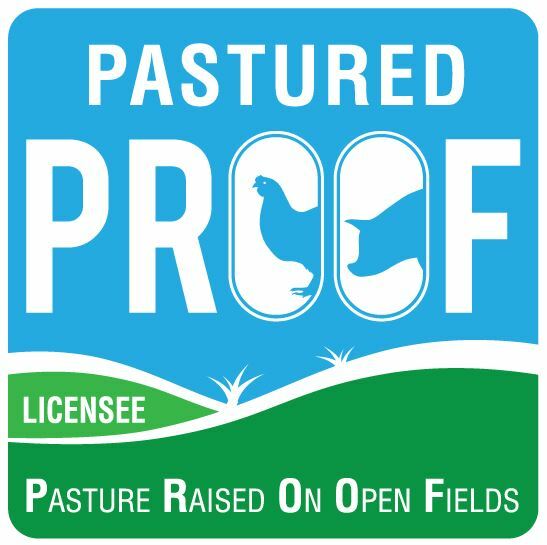 PROOF - Pasture Raised On Open Fields - What do Pastured Pigs and Chickens Eat? What do Pastured Pigs and Chickens Eats? Do free range, pastured pigs and chickens eat grass? Yes, but we want to be absolutely upfront about this; they do not live on pasture alone. 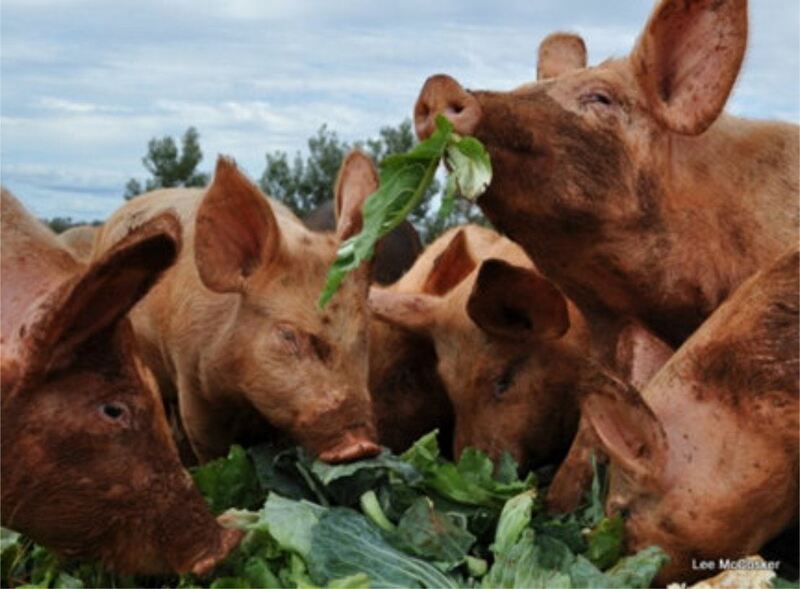 Pigs and chickens are very different to other livestock grown for our consumption in that they cannot be highly productive on a diet of pasture alone. These animals are omnivores and that means they have similar dietary needs to you and me. That doesn't mean that they don't eat grass, they certainly do! Cattle and sheep have a rumen, sort of like a very large tank that ferments fibrous pasture to convert it into a digestible food source. The rumen is unique to these animals. Single stomached animals, such as humans, pigs and chickens are not capable of digesting all of these fibrous materials and need a balance of energy, protein and fats to live well. Pasture is a part of a balanced diet in pastured egg, chicken and pork production and a very important one. The diet is supplemented with grains, pulses and sources of protein to ensure that all the animal's needs are met to remain healthy and productive. 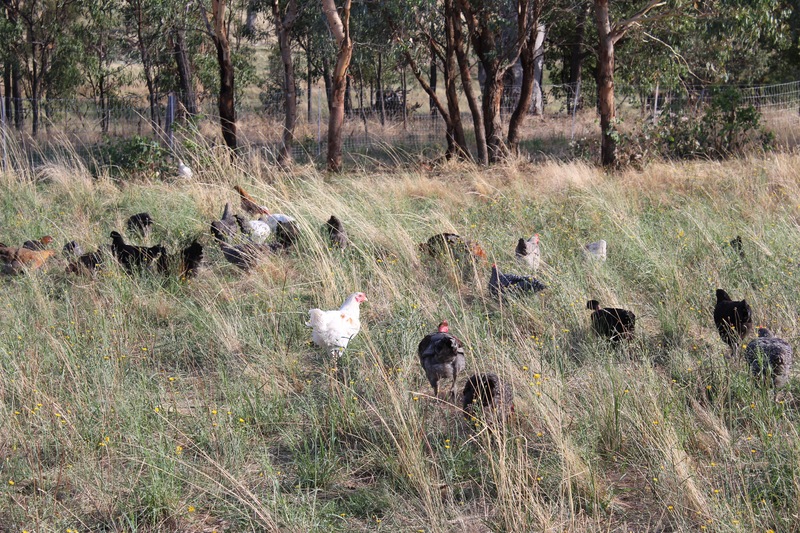 Chickens especially will consume lots of bugs, grubs and insects in the paddock and in the soil, but, we need to remember that in the wild, chickens would not flock in such large numbers and be confined to one farm. They would range large areas of grassland and forest and be constantly on the move looking for food. In a farm environment it is not realistic to expect the chickens to get all their protein needs from the paddock so their feed has to be supplemented. The chickens don't have to worry about where their next feed comes from either! Are Pastured Eggs, Chicken or Pork Organic? No, not unless the farmer states that on their label or has a separate certification. We promote a diet of natural foraging and nutritional supplements but the source of this food does not have to be organically certified.